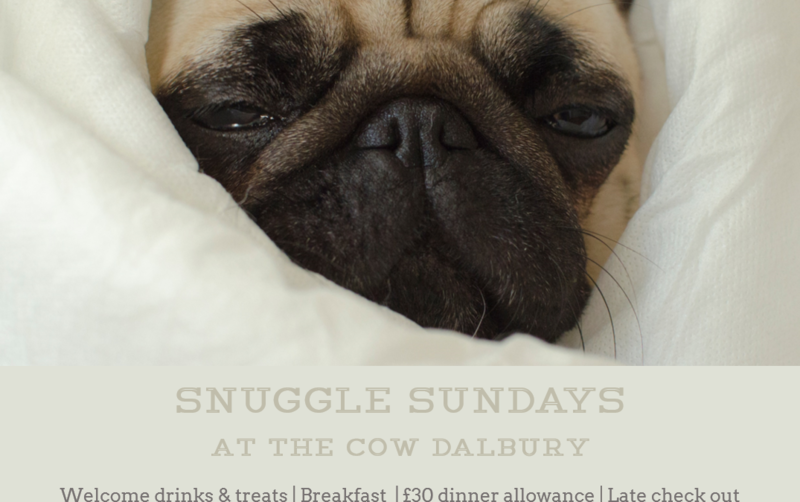 Snuggle Sundays is back at The Cow this April During Sunday 7th April until Sunday 9th June 2019 we will be offering the perfect package for a getaway in the Derbyshire countryside. Book your overnight stay for two with a loved one, your pooch can come too! Available on any Sunday (excludes bank holidays). To book your stay with us click here or please call 01332 824297.